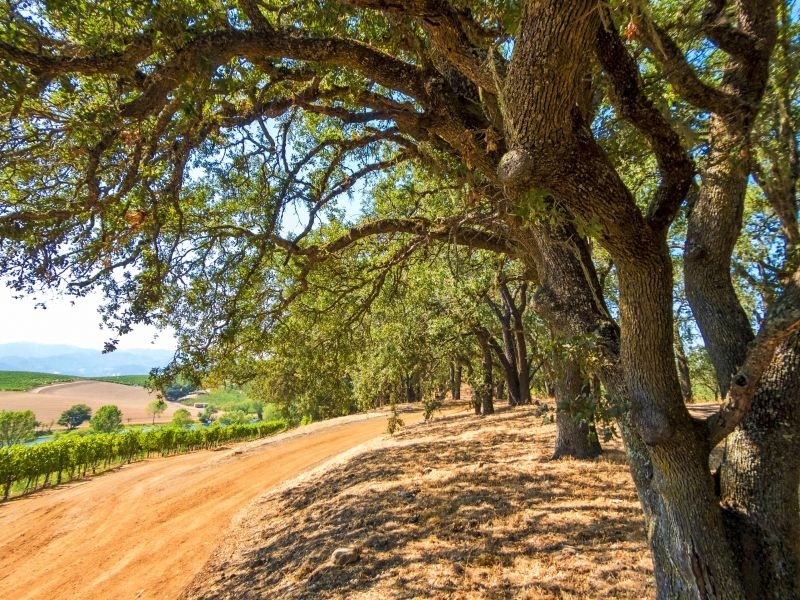 Quintessa is a winery that you approach from a driveway that leads from Silverado Trail. I use that description, because not only are the winery and tasting room set well back from the road, but the buildings are set into the curve of the hill in such a way that they are barely visible from the road. The drive way curves past the entrance to the tasting room to a small parking lot. We did not even notice the production facility, as we were on its roof as we parked. The clever way in which the impact on the landscape is minimized is reflected in the winery’s approach to all aspects of the creation of the wine. We were met by Ivy, our guide for the tour and tasting. She led us past the tasting room and up a flight of stairs behind the building that were cut into the hillside. The effort involved in the climb was rewarded by a gorgeous view over their vineyards and a large swathe of Napa Valley. 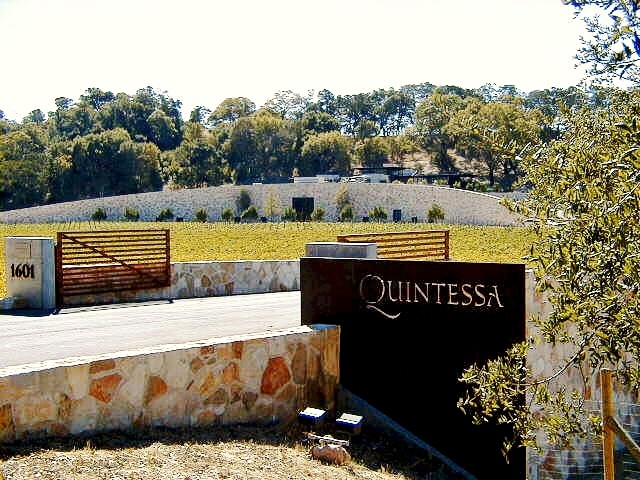 The Quintessa Wine Estate covers two-hundred and eighty acres with one-hundred and eighty acres planted to vines; a mix of Cabernet Sauvignon, Merlot, Cabernet Franc, Petit Verdot, Sauvignon Blanc, Carmenère. 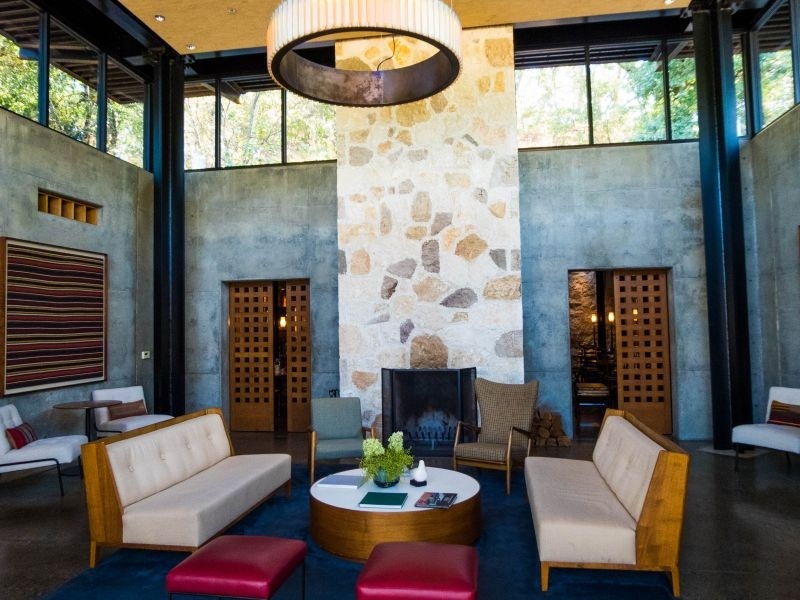 California Girl Comments: What an amazing property. I felt a little sad that the day we were there I was testing out a new camera and the weather wasn’t great for taking photos. This place is beautiful and I was wishing for my big camera. This last variety is a nod to the Chilean heritage of the owners; Agustin and Valeria Huneeus. When they bought the land at the end of the eighties, it was virgin land; it had never been used for vines. This lack of previous use enabled them to follow organic and biodynamic principles from the outset. The first plot, planted in 1990, was the one just below the hilltop on which we stood and bears the evocative name of “Dragon’s Terrace”. 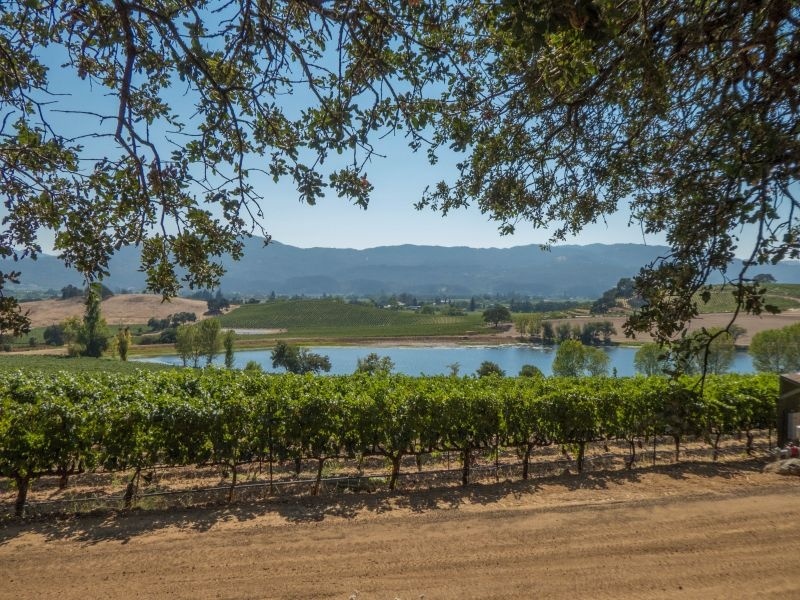 There are twenty-six different plots spread across five hillsides within the vineyard, with varying soil and climates. The plots that are clustered around the lake at the foot of the aforementioned “Dragon’s Terrace” have deep gravel. 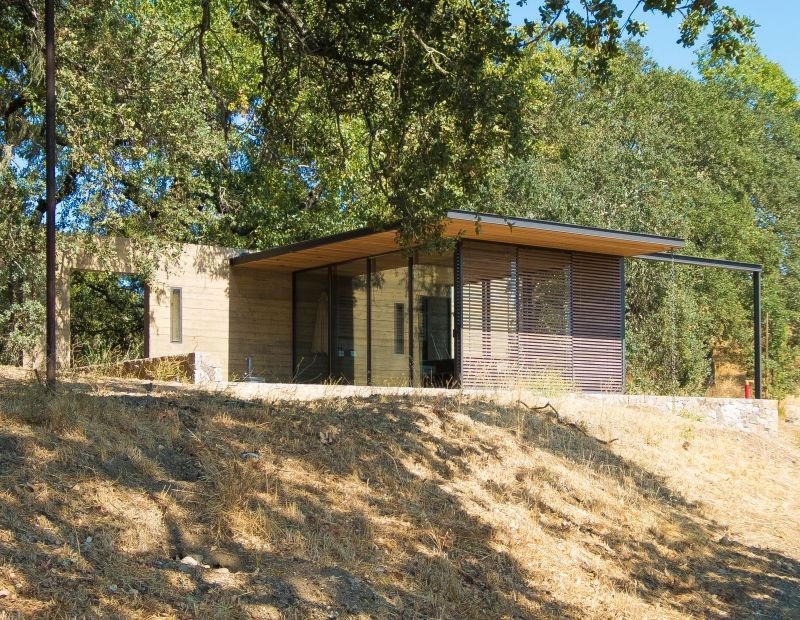 Those that sit between Silverado trail and the winery are planted in volcanic ash, whilst Bench that borders the Napa River is made of clay loam, gravel, and sand. 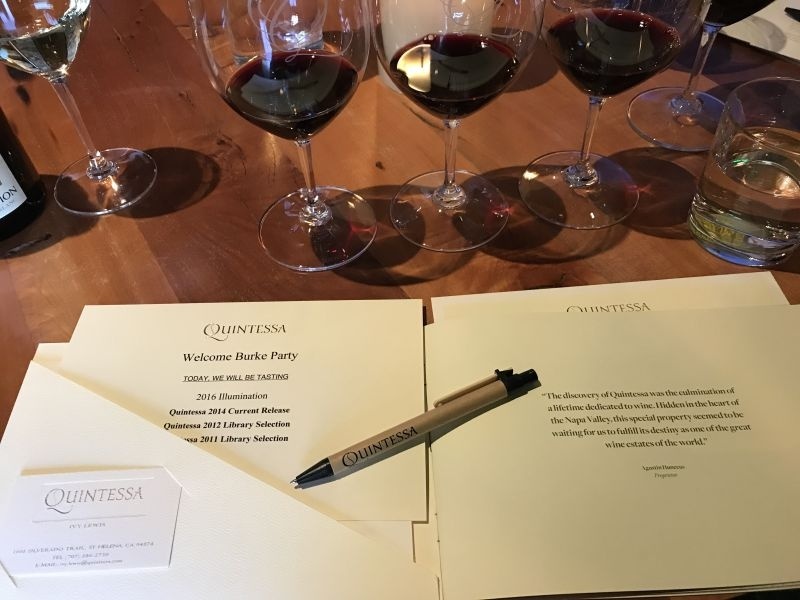 In sharp contrast to most Napa wineries that we have visited, Quintessa makes just two wines under their label. There is the estate red wine, simply called Quintessa. The other one is a white blend of Sauvignon Blanc and Semillion, which is called Illumination. Just an acre and a half are planted to Sauvignon Blanc, so this wine uses grapes grown away from the estate. We made our way back down the hill to the tasting room, where we were shown the roof of the production facility. A roof may not sound like a feature to which attention needs to be drawn, but what looked like sky-lights beneath our feet, were chutes that enable gravity to pull grapes down into the tanks below for crushing. 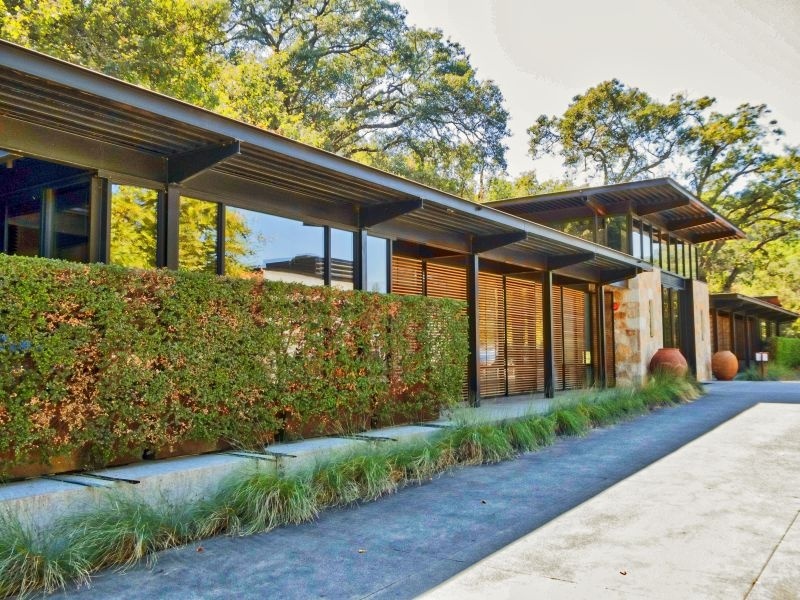 California Girl Comments: Its an interesting mix of technology, green practices, architecture and just beautiful property. Its all very impressive. We were taken down into the winery by a lift (elevator) and shown around by Ivy. She explained that five different types of fermentation vessels are used; providing the winemaker with an even wider range of options to create a blend that is provided by the grape varieties and different plots. 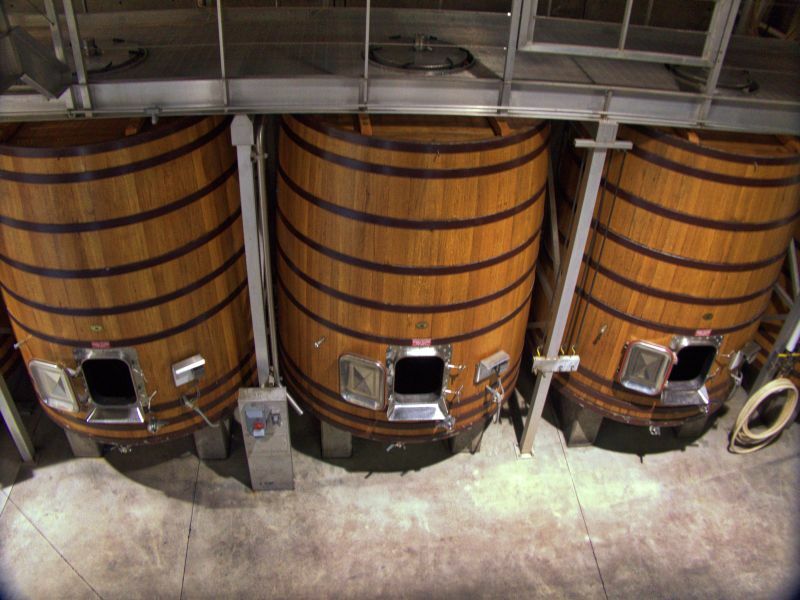 The one area where the winemaker does not leave her options wider open is with the barrels country of origin, all of which are French Oak. Eighty to eighty-five percent of those casks are new. However, Rebekah Wineburg, the winemaker, does source these barrels from twelve different cooperages. We were then led back into the barrel room, a tunnel dug into the hillside that runs under the tasting room. The air in these caves must be kept at the correct level of humidity, to prevent the wood drying out. Here instead of a functional, but unattractive industrial humidifier there was a stunning fountain lit from below to create striking shadows. California Girl Comments: I loved this idea. Making something functional and beautiful always gets my vote. 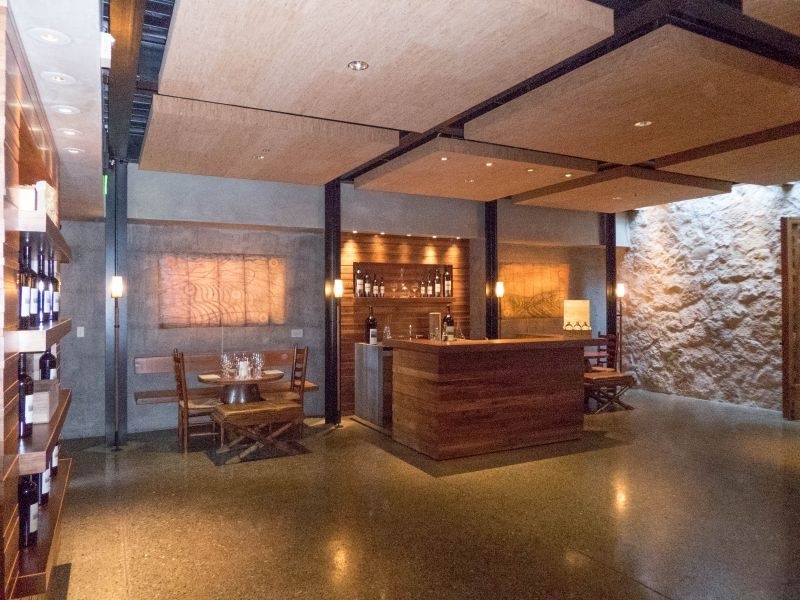 Ivy led us back upstairs and into the tasting room, where we had an opportunity to try Illumination and three vintages of the Quintessa Red Blend. 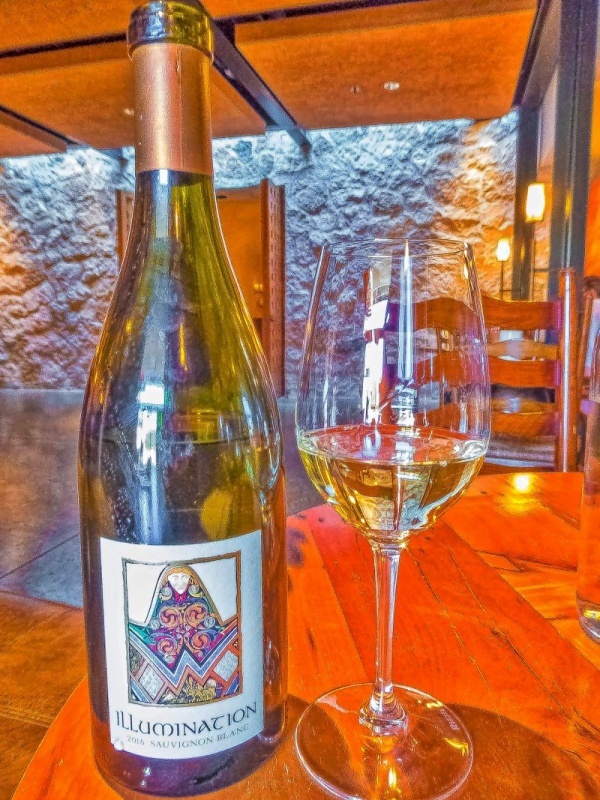 The 2016 Illumination is a blend of Sauvignon Blanc and Semillon (9%) from Napa and Sonoma Counties. It was a pale straw colour in the glass. The nose was surprisingly intense, with notes of vanilla, apricot, and sweat. Taking a sip I was met with a medium plus acidity and a complex and well-layered combination of grapefruit, pine, peach, and lemon. The addition of Semillon makes this a more interesting drink than a typical Napa Sauvignon Blanc. 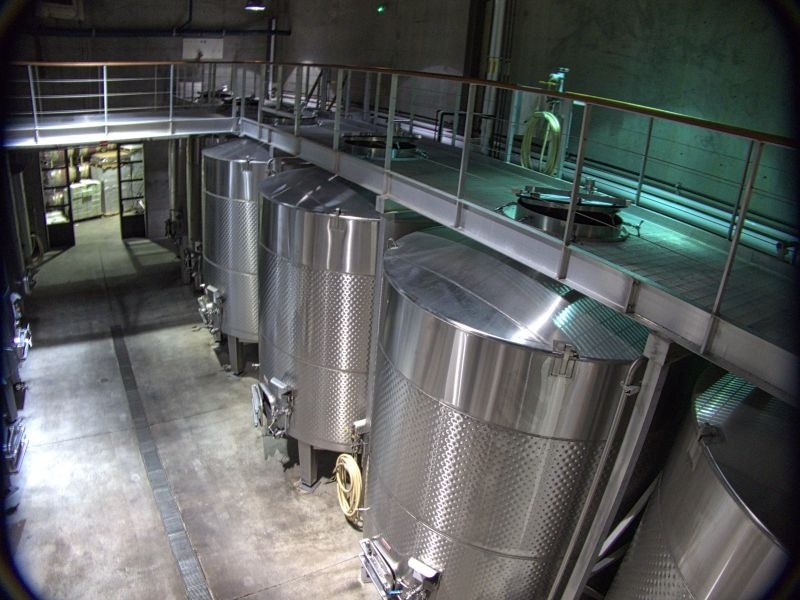 The complexity of the wine also reflects a varied approach to fermentation vessels; a mix of new and neutral French, Acacia barrels, egg-shaped concrete containers, and stainless steel. This is the first winery we have visited that used Acacia. The geek in me had to do some research on these barrels. It turns out the wood, actually, Robinia pseudoacacia or black locust tree is often used in Bordeaux for sweet wines. California Girl Comments: It’s hard to add to The Brit’s tasting notes other than saying how much I enjoyed the wine. Oh wow, just look at the label. I love the design! 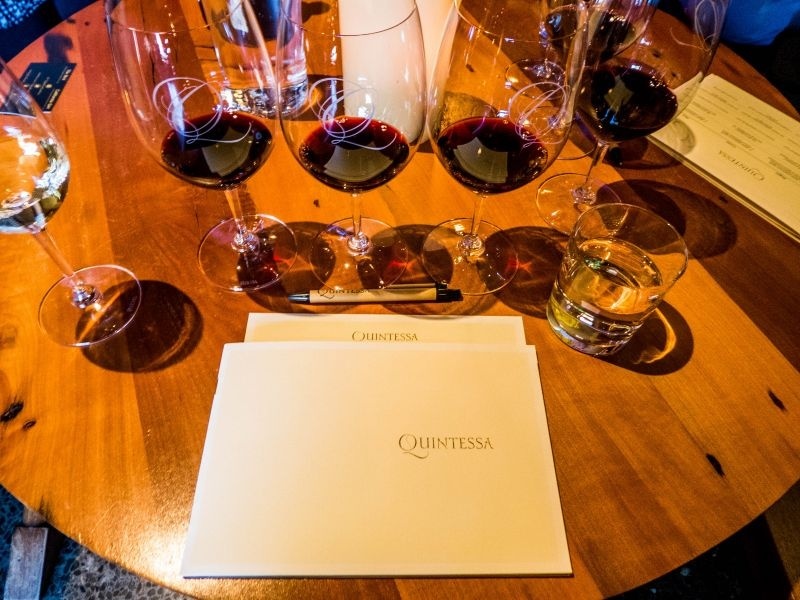 The three vintages of Quintessa were from 2011, 2012, and 2014. This last wine is the current release. The 2011 uses just four of the five grapes mentioned above; Carmenère being the missing variety. When we attended the ten-year vertical tasting at Castello di Amorosa, Karen McNeil, renowned wine writer and MC for the event, said about the challenge of vertical tastings “You are forced to see differences… you are also trying to see the ribbon that links all these wine”. These three wines were distinct; California Girl and I disagreed on the order in which we would rank them, but they did all share an elegant complexity and a subtlety often missing from the stereotypical Napa Cab. The 2011 had a high-intensity bouquet of blackcurrant and cedar. The tannins were medium, expressing themselves as black-tea. Fruit notes of blackberry and plum combined with medium plus acidity and undertones of forest to deliver a lingering finish which was the star of this wine. The 2012 had an exotic nose of blackcurrant, ripe cherry, cloves, and mushrooms. Once more the tannins were far from overwhelming, probably even less assertive than in the 2011. The flavours were a mix of redcurrant, cinnamon, and rose petals. I preferred the previous year’s vintage, but this one is easier to drink. The third vintage is the 2014. Once more my nose was assailed with an intense and complex bouquet; with odours of blackberry, cocoa, and leather mixed with swirling smoke. Given the youth of the wine, the tannins were surprisingly restrained. In the mouth, the heavy body exposed tastes of redcurrant, plum, and cinnamon leading to another long finish. I remained unsure if this or the 2011 was my favourite. This current release is available as a single bottle at $175. The 2012 is sold as a three pack at $555 or as a walnut cased Magnum for $400. The 2011 costs $570 for a three pack or $410 for the 1.5l size. 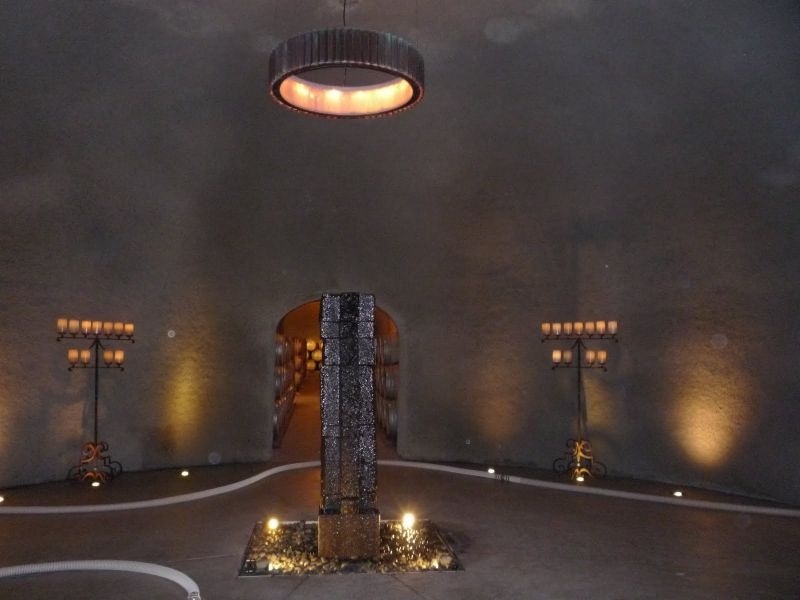 The tour showed the beauty of the vineyards and revealed the attention to detail in the winemaking experience. The tasting showed how that focus results in complex and thought provoking wines. 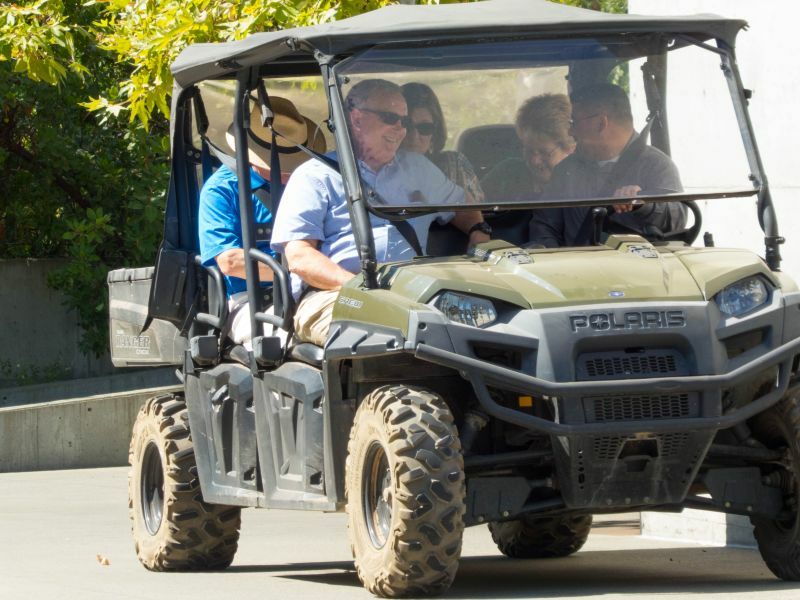 Reservations are required and the experience costs $75 per person.